PhotoEQ helps you to get perfect photos automatically. 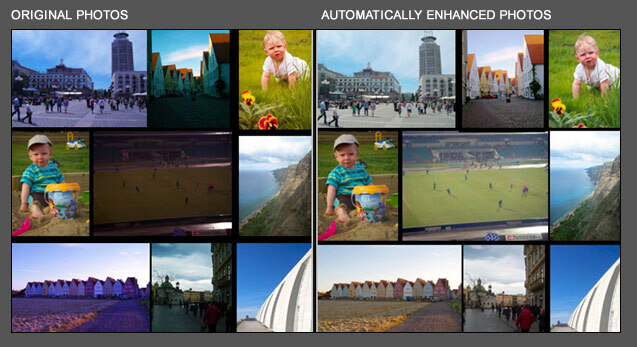 You can enhance, edit and do color management to any digital or RAW photos in couple seconds. The most time saving feature is our intelligent color correction which fixes white balance and exposure problems in single step. Easy to use color correction adjustments and tools gives you professional results automatically. You have also a full control for all automatic tools to fine tune as you want. PhotoEQ’s to do list feature helps you to boost your photo editing workflow with multiple images. You can lock certain adjustments for all to-do list images or batch process all photos automatically. You can batch process and save all images from to-do queue with single mouse click. 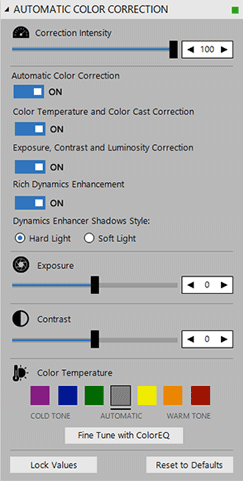 You can use automatic settings or adjust image editing tools manually. 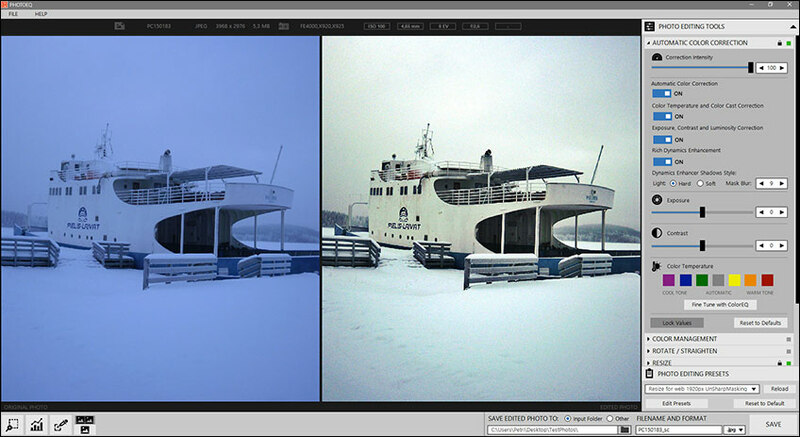 Our intelligent color correction solution fixes white balance, exposure and contrast problems automatically. 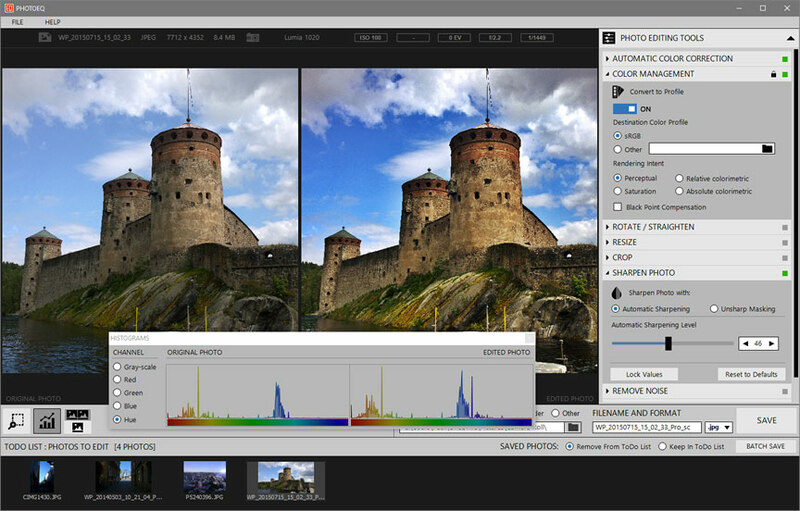 PhotoEQ has support for standard ICC profile based color management and it manages embedded ICC profiles. With PhotoEQ you can convert and render between color spaces like from RGB to CMYK. You can do multiple image processing adjustments with PhotoEQ. Color correction with white balance, exposure and contrast fixing. And use automatic image editing and enhancement tools.